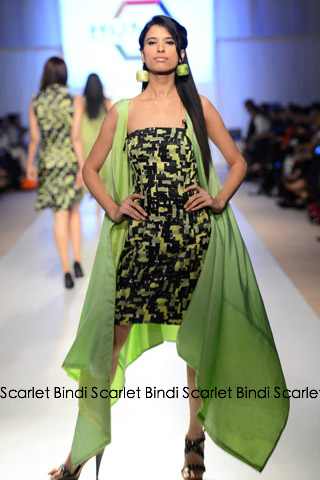 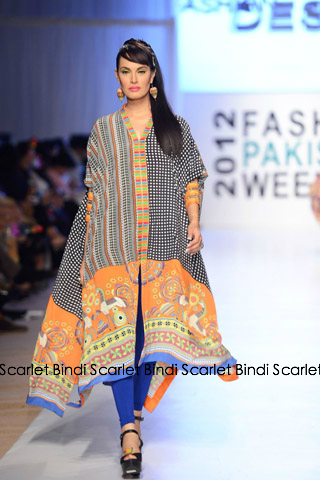 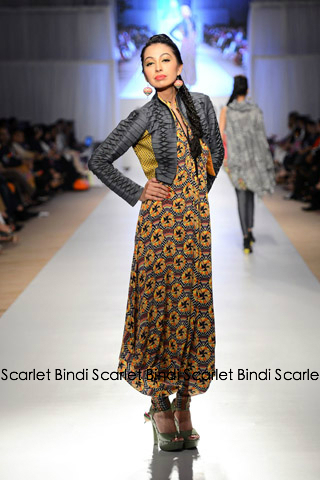 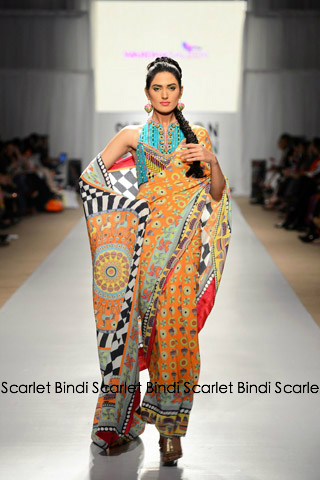 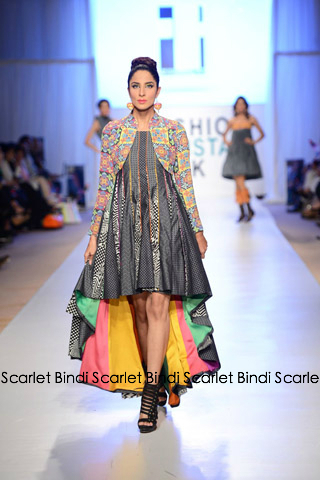 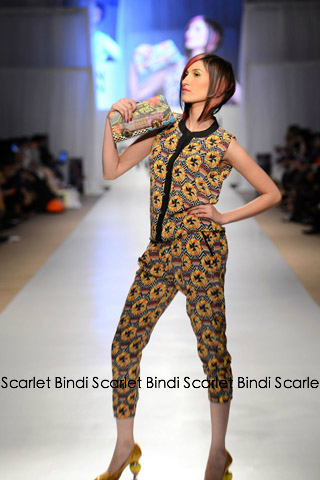 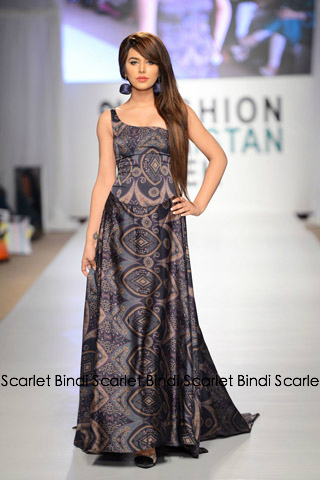 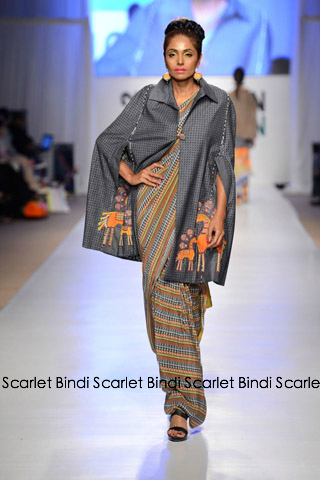 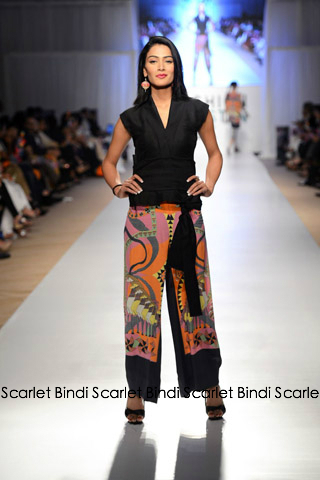 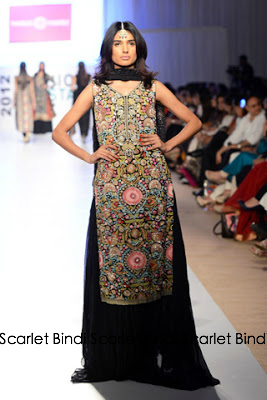 Warda Saleem - Great collection with fun prints! 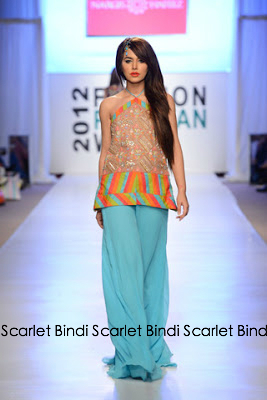 Love the colours used. 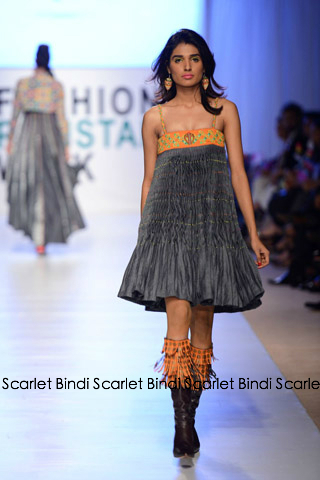 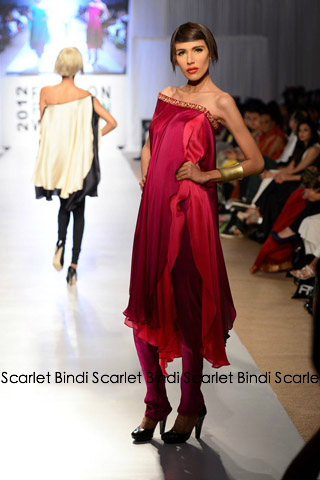 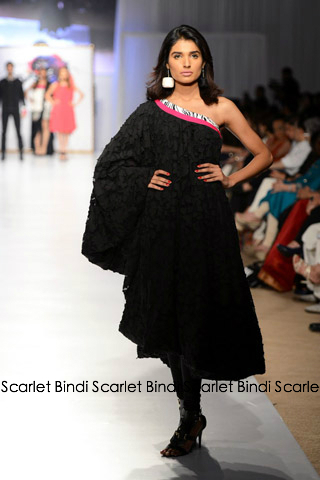 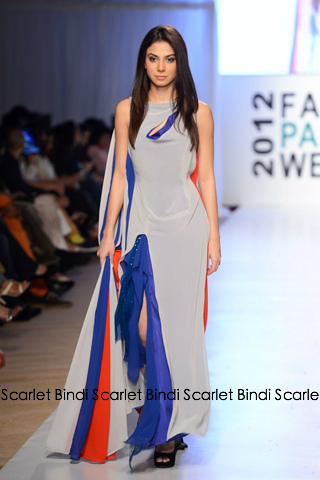 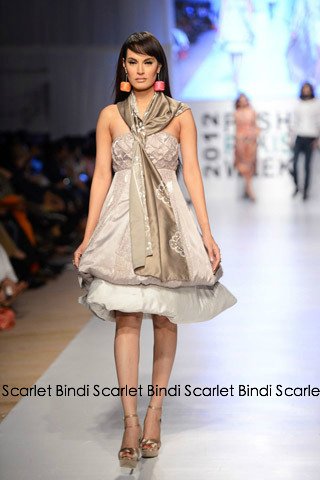 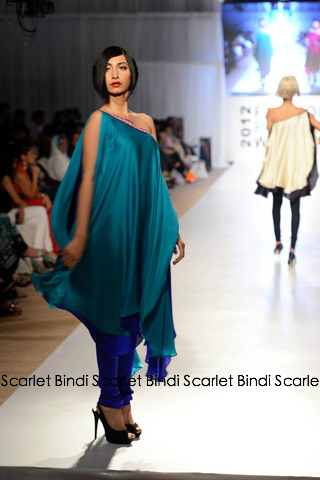 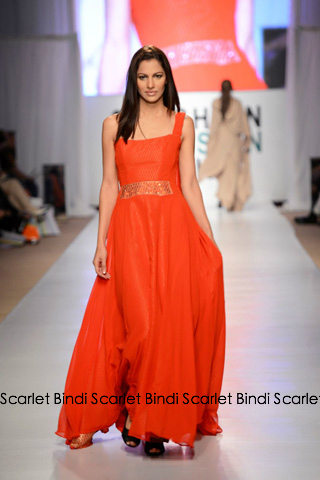 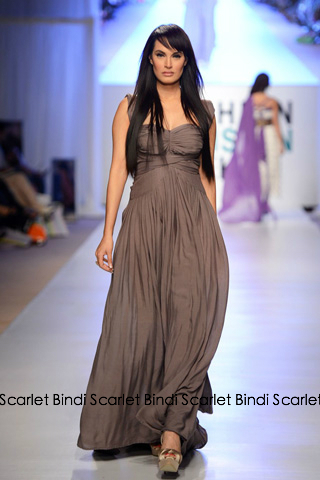 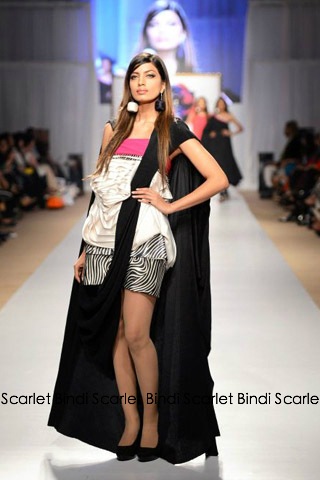 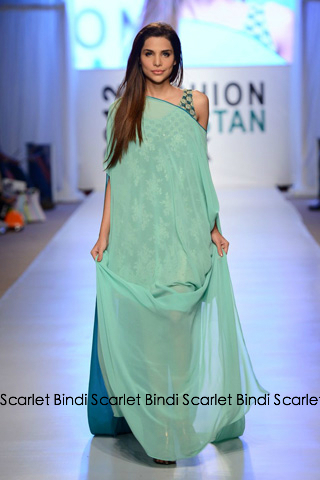 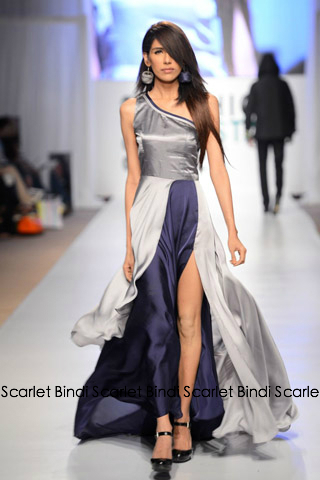 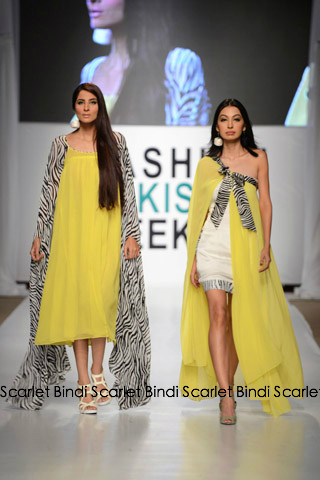 Sonya Battla - I really like the one shoulder suits in this collection, definitely something I would wear. 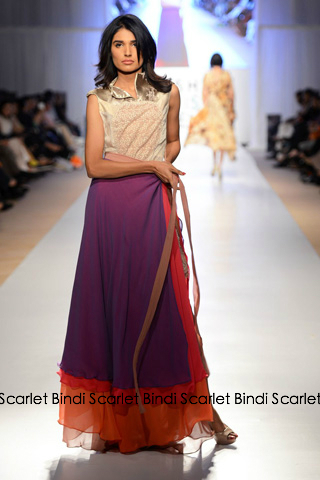 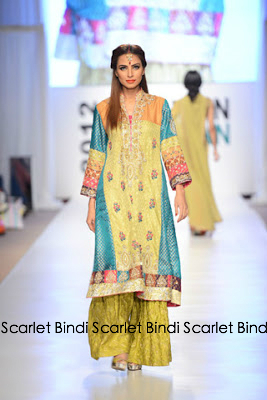 Love the colours, fabrics, and the fact that the outfits are quite unstructured. 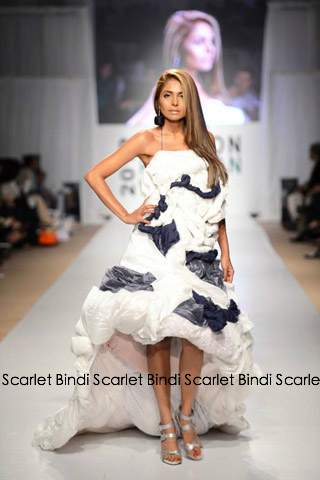 The fabric flows to create a very elegant look. 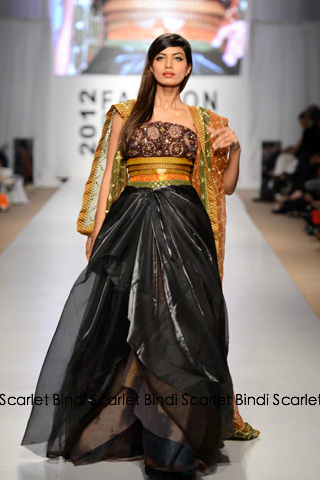 Kuki Concept Collection - This collection has a lot of different things going on. 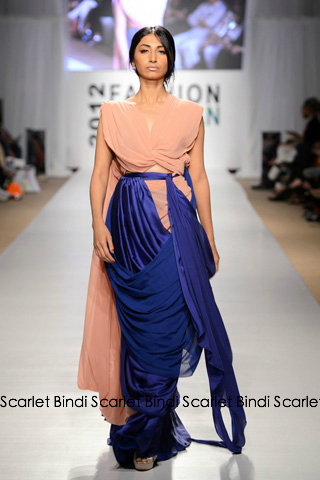 Not sure where the inspiration came from but there's quite a few different colours and fabrics. 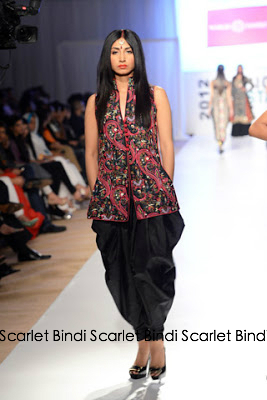 Even the fit of the clothing is different through out; not one of my favourite collections. 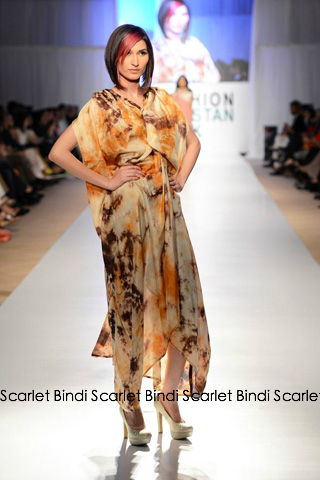 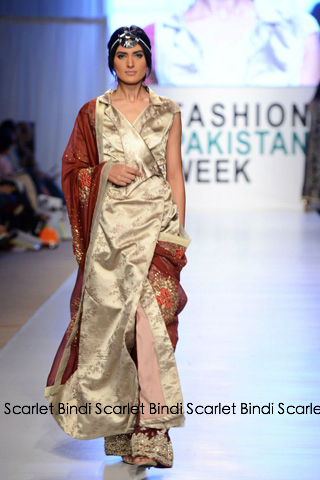 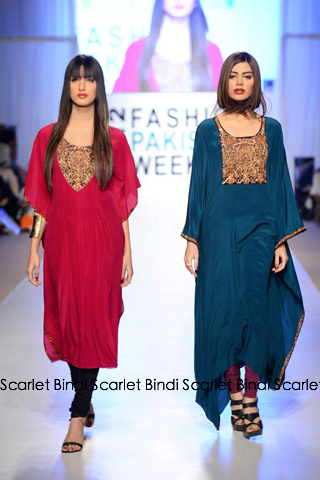 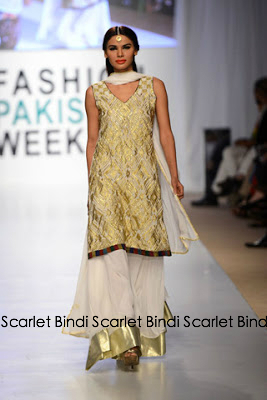 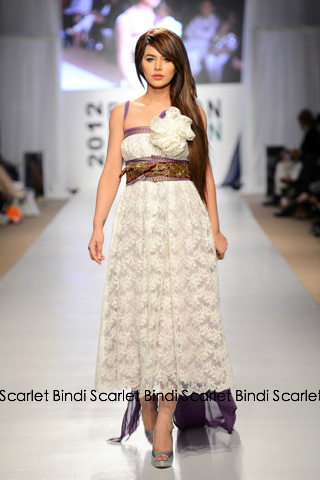 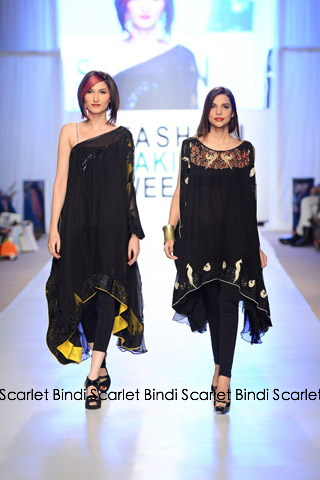 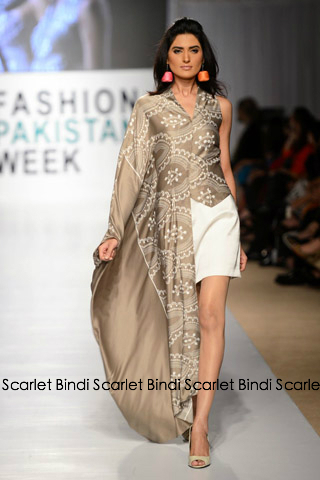 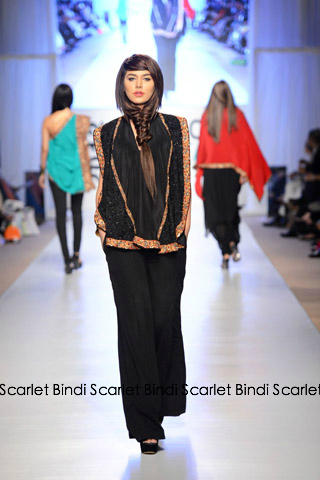 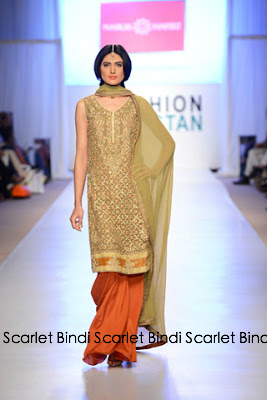 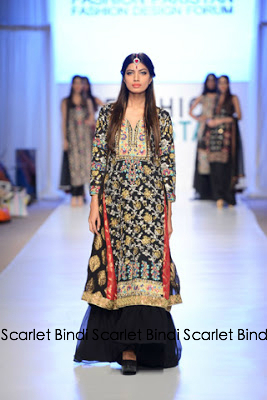 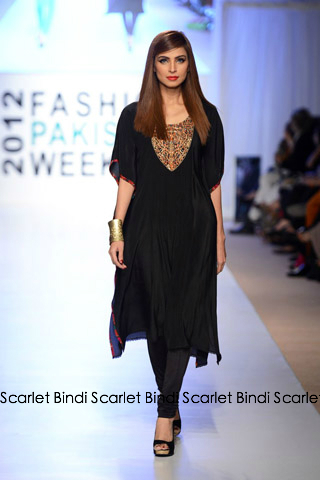 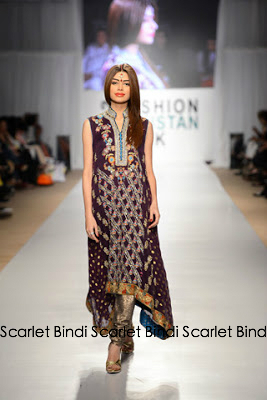 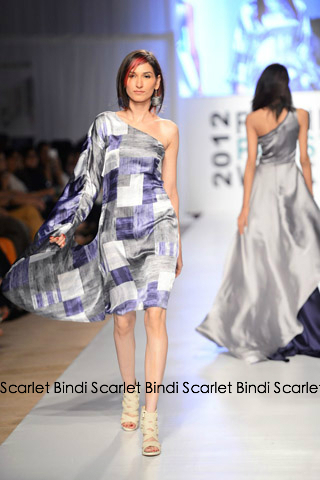 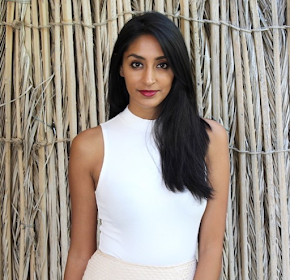 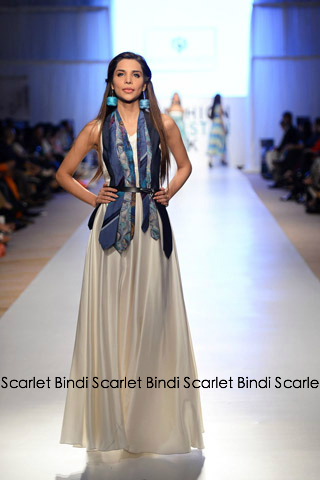 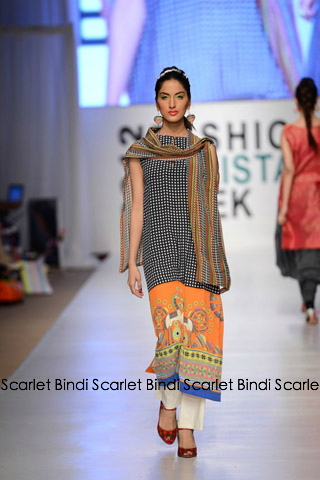 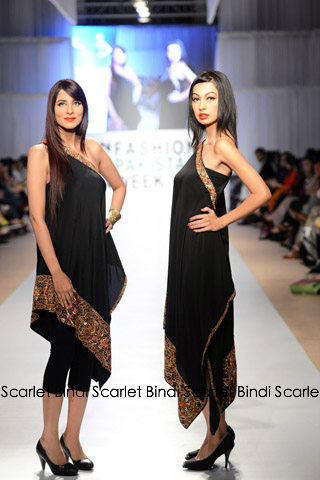 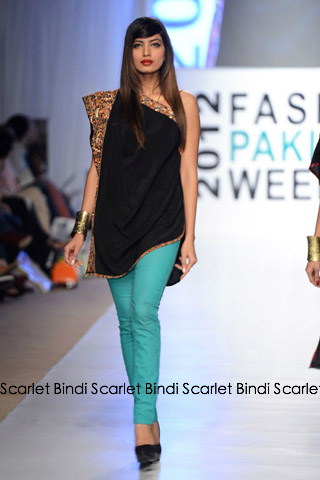 Ayesha Hassan - Beautiful fabrics with the Western pieces having an Eastern touch and vice versa. 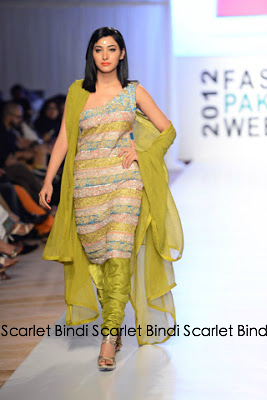 I do wish, however, that designers would stick with one vision rather than going back and forth. 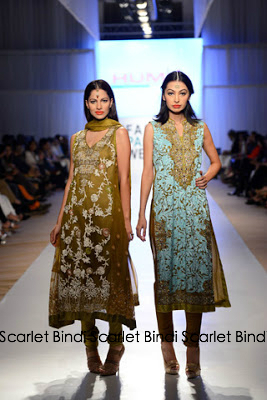 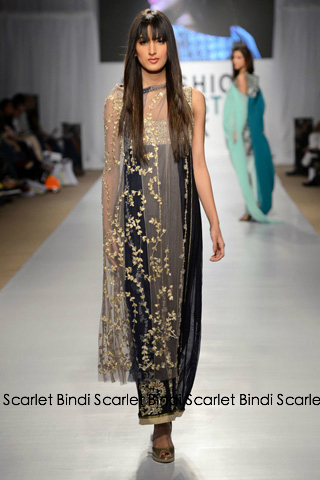 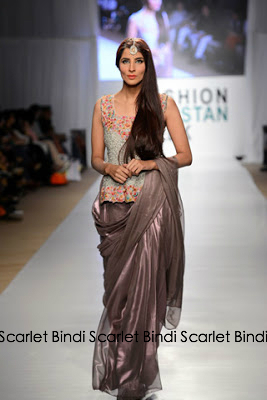 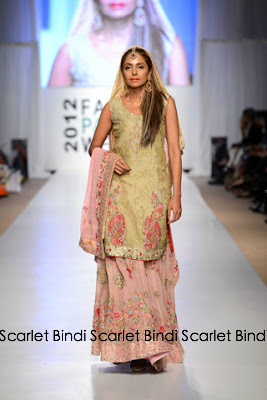 Nargis Hafeez - Love this collection, very royal feel but extremely trendy! 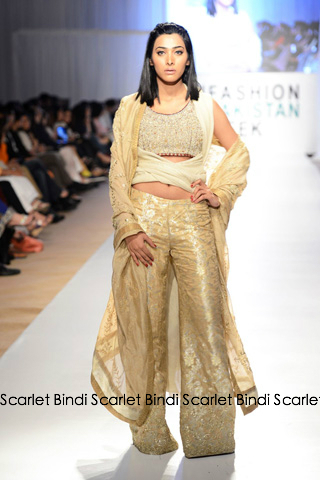 There's some gorgeous work that's been done on these items and the gold mixed in with the colours is beautiful!